Contrary to reports in Foroyaa Newspaper’s 22 September 2015 news caption “Buba Ceesay Clocks 4 Weeks in Detention,” that his family is allowed to bring food for him are all unfounded and untrue. Buba’s family is not allowed to see him neither are they allowed to bring any food for him and as a matter of fact the family does not know his whereabouts up to this hour since his arrest on 24 August, 2015. 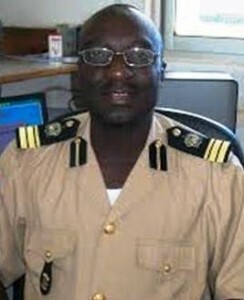 Meanwhile, since his arrest by the notorious National Intelligence Agency (NIA), Mr Ceesay is yet to be charge or release which according to the Gambia’s constitution a person cannot be detained more than 72 hours without charge or being release. However, because Gambia is under dictatorship, arrest without charge or release is common and nothing new in the country. People can be arrested and detained for as long as the authorities find it necessary without charge or release and the detainees are usually not allowed to see a lawyer, family or friends. The likes of Imam Baba Leigh and Imam Bakawsu Fofana were all arrested and illegally detained and tortured for over a month before been released on very stringing conditions such as appearing in GRTS to praise sing the president and be silence. ← Thank You to our Readership!